Continued high use of marijuana by the nation's eighth, 10th and 12th graders combined with a drop in perceptions of its potential harm was revealed in this year's Monitoring the Future survey, an annual survey of eighth, 10th, and 12th graders conducted by researchers at the University of Michigan. The survey was carried out in classrooms around the country earlier this year, under a grant from the National Institute on Drug Abuse (NIDA). The 2012 survey shows that 6.5 percent of high school seniors smoke marijuana daily, up from 5.1 percent five years ago. Nearly 23 percent say they smoked it in the month prior to the survey, and just over 36 percent say they smoked it within the previous year. For 10th graders, 3.5 percent said they use marijuana daily, with 17 percent reporting past-month use and 28 percent reporting use in the past year. The Monitoring the Future survey also showed that teens' perception of marijuana's harmfulness is declining, which can signal future increases in use. Only 41.7 percent of eighth graders see occasional use of marijuana as harmful; 66.9 percent see regular use as harmful. There was good news in the report, however: compared with peak rates in the mid to late 1990s, daily cigarette use is down significantly among all three grades. Likewise, five-year trends showed significant decreases in alcohol use among nearly all grades and across all prevalence periods. For more on the survey, click here. 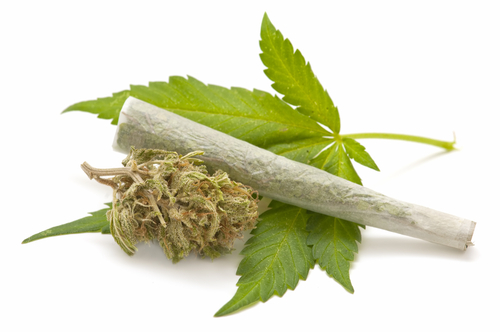 For information about reducing marijuana use, see Psychiatric News here.